But as impressive as Lady Gaga is, the film is a remarkable achievement for writer, director, and star Bradley Cooper. He has spent the better part of the last decade transforming into a “serious” actor, stepping away from the frat bro image cemented by the Hangover films. He’s had varying success with that and a few award nominations, but this is the first time it feels wholly genuine. Cooper’s performance is truly transformative; his voice is a gravely baritone, he sings with experienced passion, and his struggles with alcoholism are viscerally palpable. Jackson is charming, damaged, and despondent, a portrayal all the more potent because of the authenticity in the small details. And whenever he’s on screen with Gaga the frame drips with amorous sensuality. 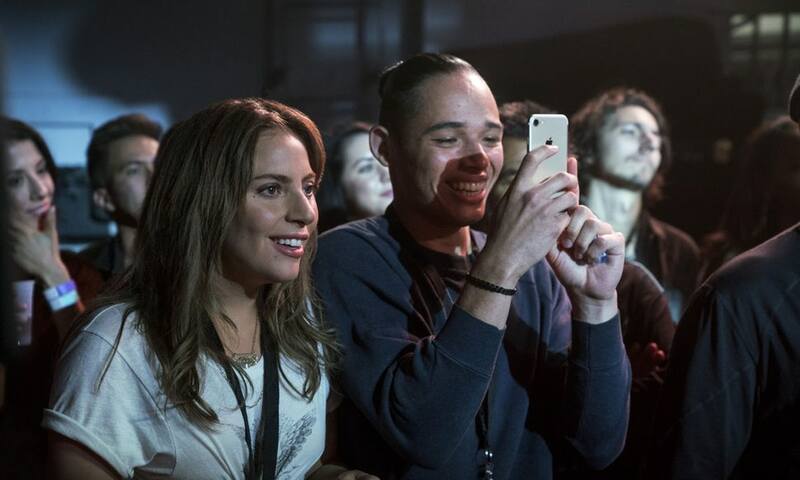 He’s a giving scene partner, letting Gaga carry scene after scene, which is a difficult balance to strike when playing a character that could easily veer into caricature. Even more striking is Cooper’s direction, especially in its pitch-perfect first half. He’s able to slyly acknowledge the versions of this story that have come before (the best being a title card sequence where Gaga sings the opening verse of Garland’s signature “Somewhere Over the Rainbow”) while completely making this version his own. His secret weapon is cinematographer Matthew Libatique, who dances between gritty rock concert handhelds, Hollywood glamour shots, and gorgeous natural lighting sometimes within a single scene. Cooper has obviously spent the last decade closely watching the likes of the pro directors he has worked with, such as Clint Eastwood, David O’Russell, James Gunn, and Derek Cianfrance, and steps forward as a student on equal footing with the masters. There are three sequences in particular that are among the most elegantly crafted in a piece of Hollywood adult entertainment in quite a long while. The first comes at the end of the first act when Jackson invites Ally to sing her song “Shallow” in front of a live audience for the first time, without warning. The dramatic build between music, camera, performer, and raw, naked emotion is so heightened that it leaves you gasping for breath behind a veil of brimming tears. The other two sequences come later in the film and to detail them would venture into deep spoiler territory. Suffice it to say this is the best directorial debut from an A-list actor in decades. We’ve gotten all this way without even mentioning the music, which is both central to the story and makes a brilliant album in its own right. Gaga and Cooper wrote most of it together (with other artists contributing), and it flits between genres with aplomb — like the tongue-in-cheek “Why Did You Do That?,” a direct dig at current trends in pop music. 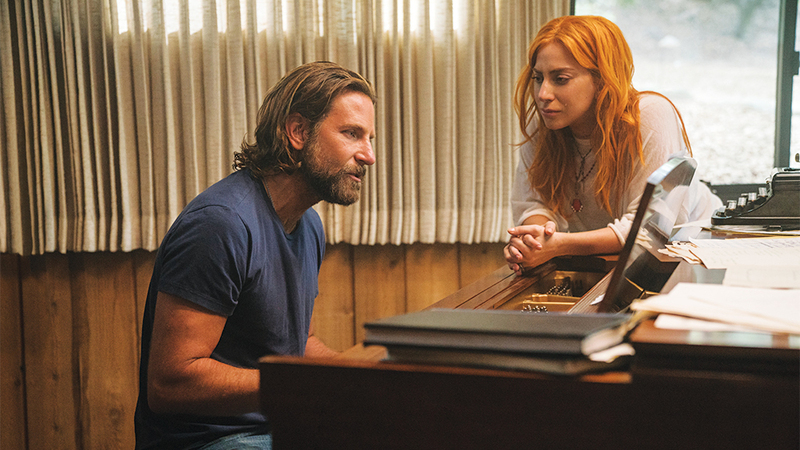 “Shallow” is the obvious highlight and it comes early in the story, but the film’s climactic ballad “I’ll Never Love Again” provides poignant catharsis that lingers well after you leave the theater. Best of all, A Star is Born isn’t afraid to be a real musical. The songs may be in the context of a concert performance, but they consistently move the characters and the narrative forward. Even the occasions where characters spontaneously sing without any instruments to back them up are grounded in the storytelling. Look, talent comes everywhere, but having something to say and a way to say it so that people listen to it, that’s a whole other bag. And unless you get out and you try to do it, you’ll never know. That’s just the truth. And there’s one reason we’re supposed to be here is to say something so people want to hear. So you got to grab it, and you don’t apologize, and you don’t worry about why they’re listening, or how long they’re going to be listening for, you just tell them what you want to say. This version of A Star is Born tells some hard truths about talent and fame in the modern era while also retaining the classic love story that has kept audiences coming back for over 80 years. The story may be timeless, but this remake feels definitive. I’m sure the generations before said the same about their A Star is Born and this likely won’t be the last version of this story to grace the silver screen. But as it stands now, Cooper’s A Star is Born is an instant classic and the best film of the year. Jackson and Ally’s love story may just outlast us all. I liked the review very much. I can’t wait to see the movie.